Define your eyes with the Simply Pretty Eye Shadow Duo, a luxurious palette infused with highly pigmented and long lasting velvet pearls that leave the skin feeling smooth and silky and gives you sensational looking eyes. Pearl-density creates unique satiny texture. Explore the entire range of Eye Shadow available on Nykaa. 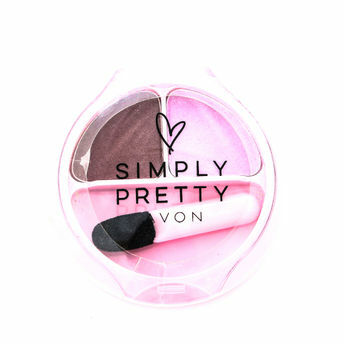 Shop more Simply Pretty products here.You can browse through the complete world of Simply Pretty Eye Shadow .Alternatively, you can also find many more products from the Simply Pretty Eyeshadow Duo range.